My kids wanted to setup the basement as the kid version of a Man Cave. Part of their wishlist included a disco ball and laser light show, along with a Bluetooth speaker. Fortunately, I was able to get the appropriately named ION Party Starter. At only $39.99, it provided the variety of effects we wanted in one very compact unit. 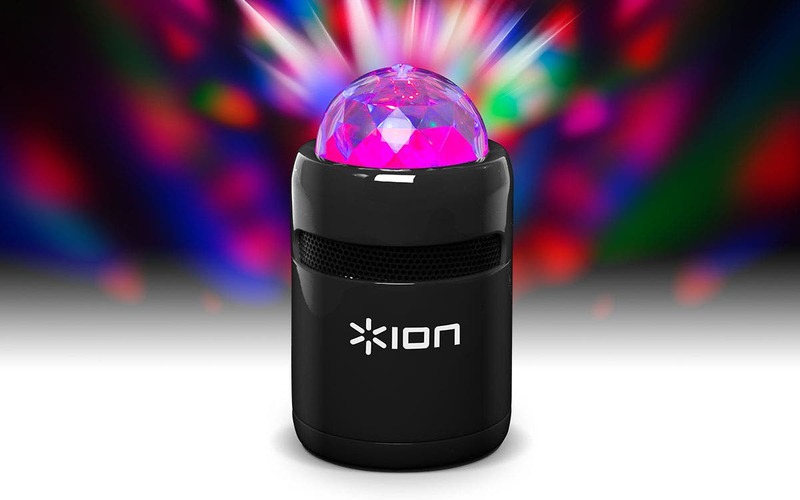 What's nice about the ION Party Starter is we can take the party with us anywhere—camping, on the patio, a friend's house. It would even fit in a car's cupholder, just make sure it's not a distraction for the driver! ION makes a wide variety of accessories for iPhones and iPads and while this works great with them, it also works with just about any Bluetooth phone or tablet.